Indian Motorcycle’s commitment for 2019 is substantial and three-pronged, and includes sponsorship of three of AFT’s most-anticipated events, contingency offerings of nearly $360,000 and substantial support of AFT’s broadcast efforts on NBCSN and FansChoice.tv. Indian Motorcycle will serve as the event entitlement sponsor of the Lima Half-Mile at Lima, Ohio’s Allen County Fairgrounds on June 21; the Buffalo Chip TT in Sturgis, South Dakota on August 4 and the Minnesota Mile at Canterbury Park in Shakopee, Minnesota – just a stone’s throw from the Indian Motorcycle factory and headquarters – on September 21. As the title sponsor of events last year, Indian Motorcycle and the presence of its owners, dealers and machines, dominated the proceedings. Attendees were treated to dedicated fan areas, dealer demo rides, bike displays, giveaways – and even a chance to win brand-new Indian motorcycles. Expect more of the same at those Indian-sponsored events this year, plus – at all 18 rounds – a special 20-x-20-foot Indian Motorcycle FTR 1200 display, the same setup that introduced the brand-new and highly anticipated Indian Motorcycle FTR 1200 to the American public at last year’s Meadowlands Mile finale. Indian Motorcycle’s contingency payment program for AFT Twins riders is once again quite generous, and equal to the 2018 total, at $333,000. 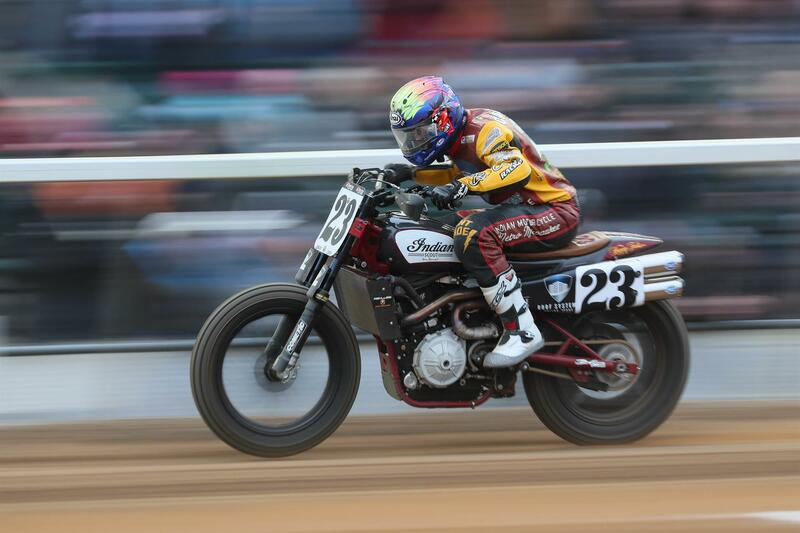 Main Event winners on Indian Motorcycle FTR750s can look forward to earning double what they received in 2018. Riders finishing in first place on an FTR750 will now receive $10,000 per event. Second-through-fifth-place finishers earn $3500, $1500, $1250 and $1000, respectively, with payouts extending through all top-ten positions. Indian Motorcycle made nearly $150,000 in direct contingency payments to AFT riders in 2018, more than any other partner in the history of AFT competition. Additionally, Indian Motorcycle is once again offering a $25,000 bonus for an AFT Twins championship, bringing the total contingency available to $358,000.